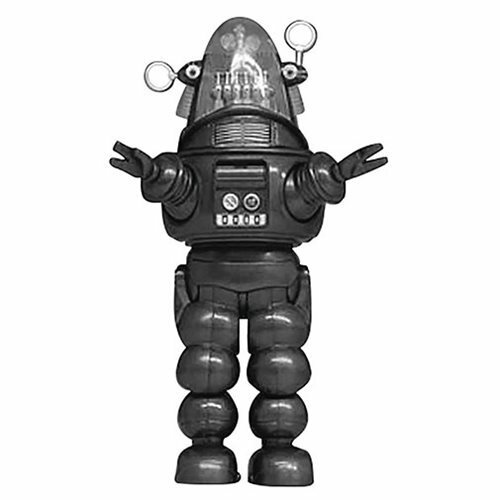 Robby the Robot from the 1956 classic science fiction film Forbidden Planet, and one of film's most memorable characters, is now available as a soft vinyl Japanese retro-style figure that is both cool and cute. Robby comes in a gray deco and is packaged in a window box. The Forbidden Planet Robby the Robot Gray Soft Vinyl Figure - Previews Exclusive stands about 9-inches tall and comes with 5 points of articulation.